This entry was posted in Downtown, Pic of the Day. Bookmark the permalink. I believe that’s a clematis. Not wisteria. Below is like to a wisteria. It’s clematis, not wisteria. Lovely photo. Umm that’ s not wisteria although the right color. 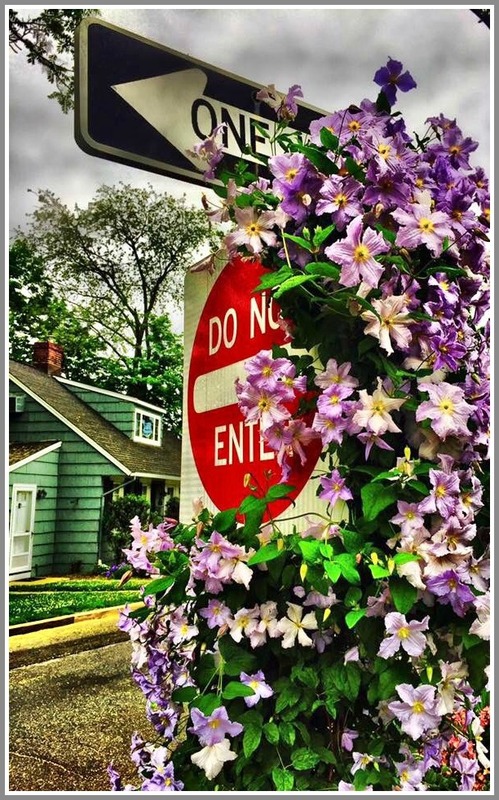 clematis it is indeed and as i mentioned to Dan, i should know better since i have some on my own property… Ha! But it is clematis, not wisteria. Oh, it looks like Clematis!